This past Wednesday I was fortunate enough to have the same day off as one of my best friends, Valerie. She works like crazy and recently got a promotion (YAY!) so her days off have changed a bit. We’ve been friends since our freshman year in college 8 years ago! We both love laying by the pool, and her connections were able to get us in to the Mandalay Beach Pool for the day. 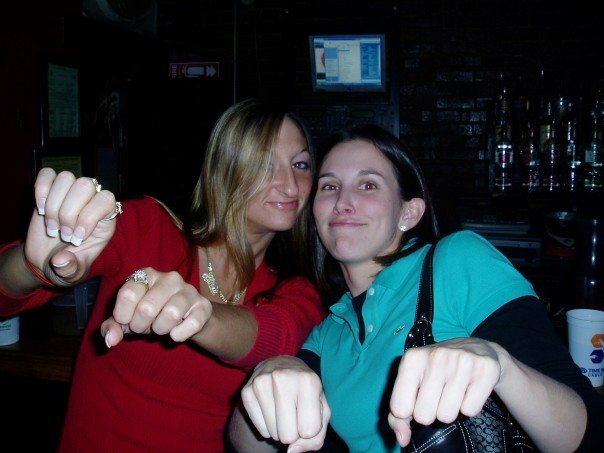 Valerie and I, our senior year of college. “It’s going down” was our jam! So I wasn’t able to get any pics this time around, too busy soaking up the sun. Plus my iphone has a tendency to overheat when out in the sun in Vegas. It was only 110 degrees on Wednesday. The Mandalay Pool is nice. It’s a beach with a wave pool and lazy river. We hung out for most of the time by the wave pool so we could lay out and when we got too hot we could dip our feet in the water. It was a perfect day. This pool is perfect for families or people who enjoy spending time out in the water! 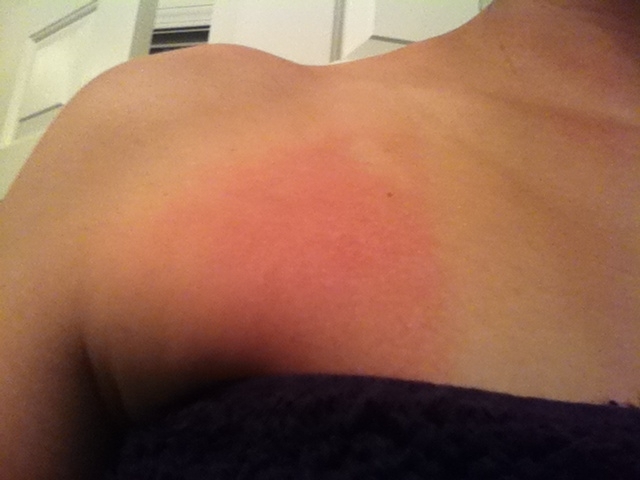 The random sunburn patches I seem to be getting! The spray sunscreen has not been my friend this year! Or I need to step up my game and not miss spots! I have this random patch, plus a couple on my legs! It’s still pink 3 days later!! I will be out in the sun the next few days for 4th of July BBQs and pool parties so I will def be making sure to put on LOTS of sunscreen!